I know, I know. I’m obsessed with the Klatch. But their amazing coffee, cushy couches, and delicious sandwiches make it a wonderful place to hide away for a few hours and enjoy a latte with friends. 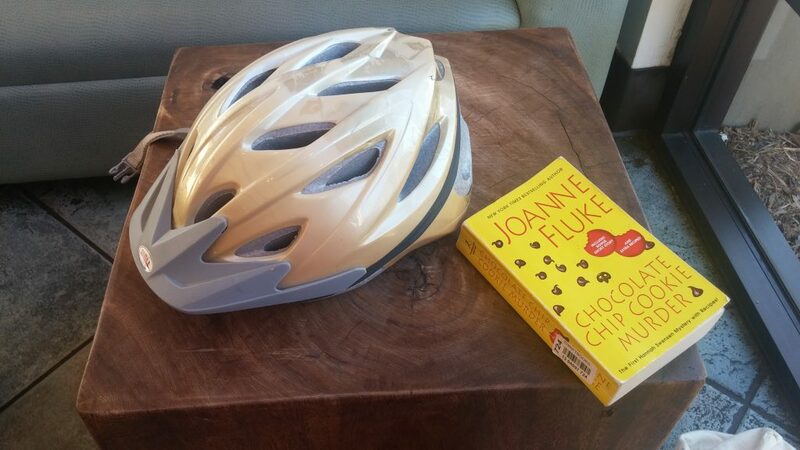 This time I decided to get my exercise on the way to the Klatch and rode two miles to the coffee shop. Nothing like a cozy to go with my coffee. My motto all year has been: 30, flirty, and thriving. The past year has not been good to me: I gained a lot of weight and outgrew everything I owned and on top of all that, about a month before my 30th birthday, I took a fall and broke my elbow. But I’m bouncing back and now I’m healthier than ever. After a long and stressful 2015, the universe helped me get my fitness and health back in focus and it all started with an unexpected physical. Way to go, Alex! I was fitness-ing too hard. On May 1, I woke up in a cranky mood. It was one day until Joey’s birthday and a week until Mother’s Day and I still had some shopping to do. I was concerned about what to get for Mother’s Day because I couldn’t find exactly what my mom wanted and I was afraid that she would be disappointed. We were also two weeks away from going to Laughlin and spending the weekend on Lake Mohave and I had yet to start looking for a bikini. 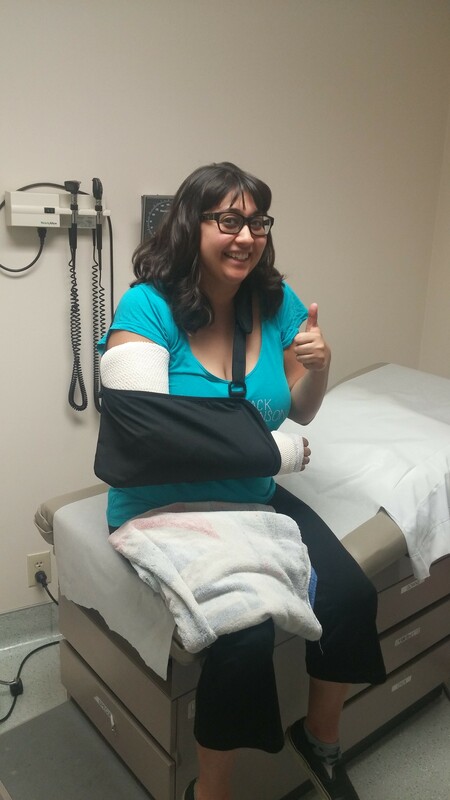 If I thought I was cranky before, I had no idea that by 6:00 p.m. that night, I would be puking in a park and holding my broken elbow up for support.